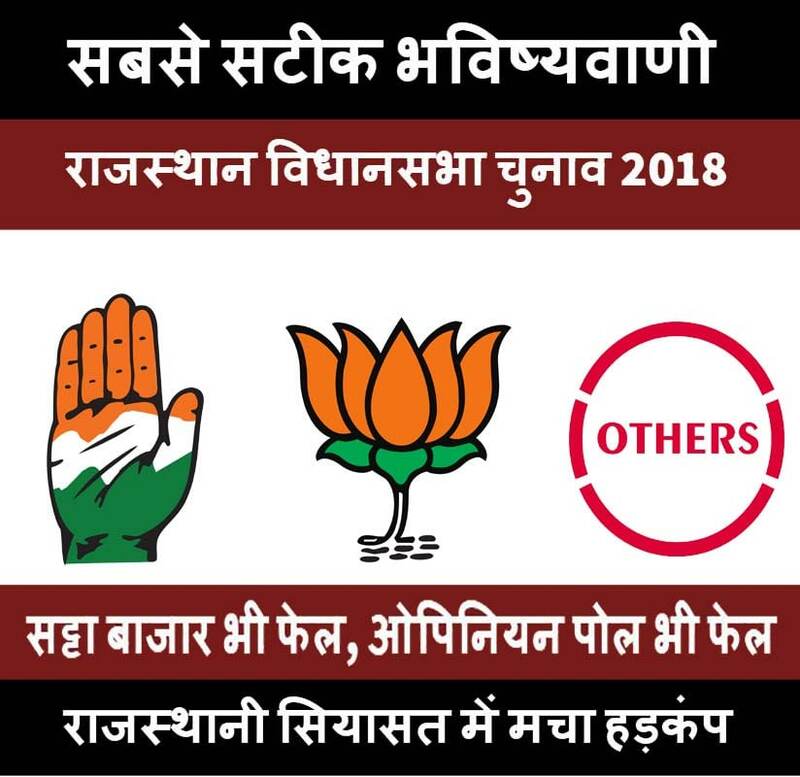 Rajasthan Assembly Election 2018 is going to take place soon. All the parties are indulging themselves in social work, temple visits and public rallies. BJP, Congress and other parties have given the tickets to strong candidates like Sachin Pilot and Yoonus Khan. Since the date for Rajasthan Assembly Election 2018 has been declared, the parties have belted up their seats and are giving their hundred percent to get ruling powers in hands. The general public is really eager to see the results of these pre-elections preparations by political parties. Now let’s check out Astrological Predictions Rajasthan Assembly Election 2018. The date for Rajasthan Assembly Election 2018 has decided 7th December whose results will be declared on 11th December to the General Public. As you all know that on this website we give you the Astrological Predictions for Rajasthan Assembly Election 2018 according to our astrological calculations. Who would get ruling powers in these elections? Will BJP return with complete majority? Or Will Congress make the government? Would other parties get more seats under them or not? If we consider media and all the opinion polls, Congress is getting more support than BJP according to opinion polls. Congress would get ruling Powers in these elections. But considering our astrological calculations, all these media and opinion poll would get diverted just after 30 November.The scenario of support to Congress would be ended after 30th November. Then some twist would change the game as BJP would get its time again and according to our Astrology Predictions BJP would definitely get ruling powers by winning Rajasthan Assembly Elections 2018.